Hard Hat Decals are an indispensable part of any safety program. 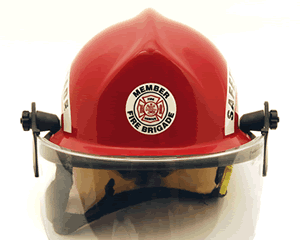 Our “EMT Firefighter” helmet rocker decals help you quickly and easily identify your staff. All our helmet decals are in-stock and great for Hard hats, equipment and more.